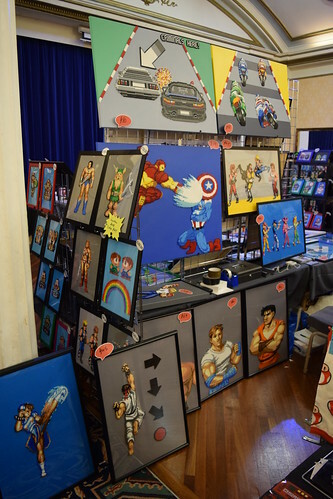 PLAY Expo Blackpool was held at the Norbreck Castle Hotel on the 30th and 1st May. 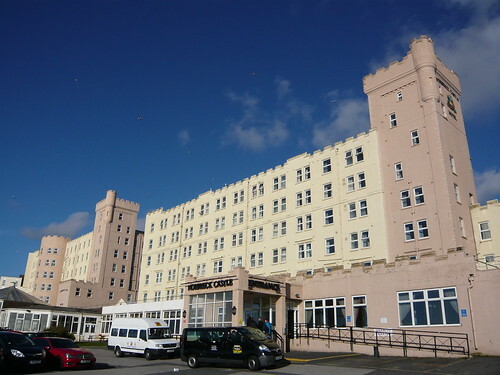 Despite an impressive exterior, the venue was somewhat dated. 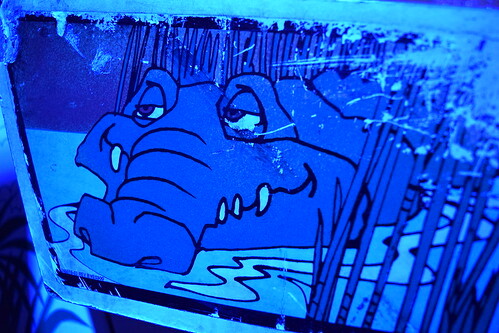 However I imagine it was pretty spectacular back in its heyday. 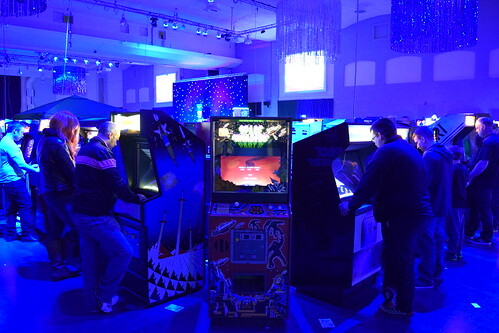 The show encompasses all aspects of gaming, although most of my time was spent in the arcade section. 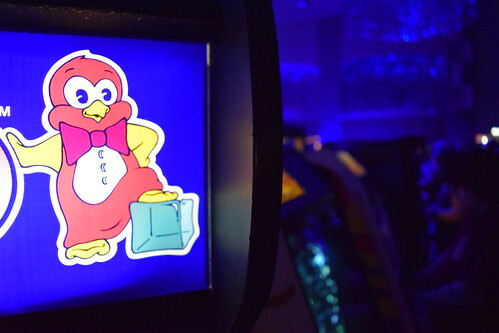 Here is a video of a walk around the arcade machines. 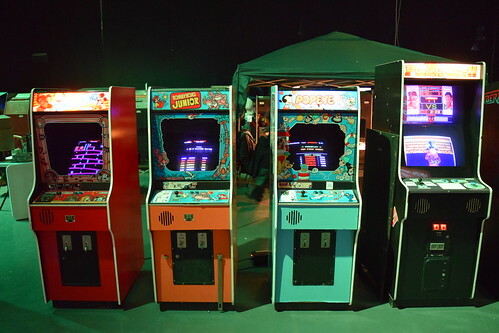 There was a fantastic selection of titles, including Sega classics and a nice row of Nintendo cabinets. 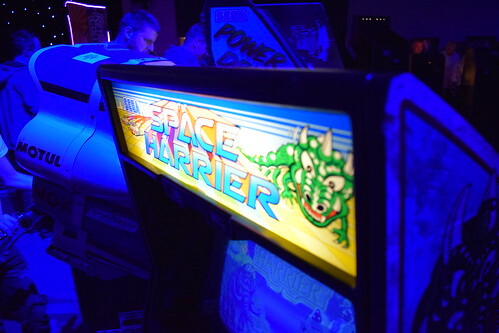 My gaming highlights had a definite Atari theme! 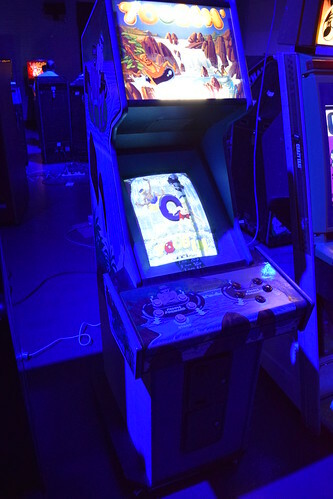 The last time I played this was at Mikado arcade in Tokyo back in 2012. 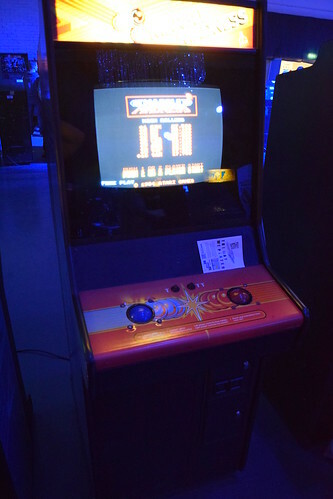 It was great to play it again, although I’m still rubbish at it! 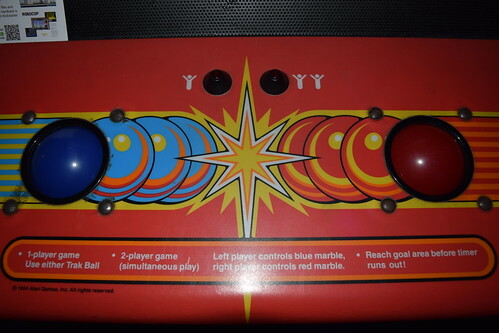 Another fun and addictive Atari title, and one I’ve never seen / played before. 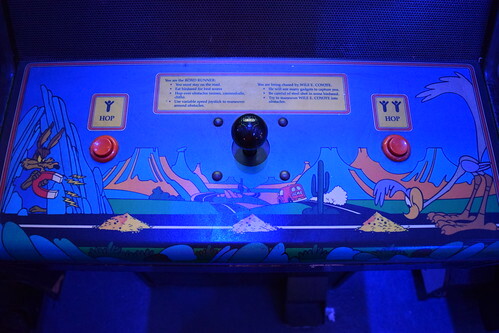 As Road Runner, the player must escape Wile. 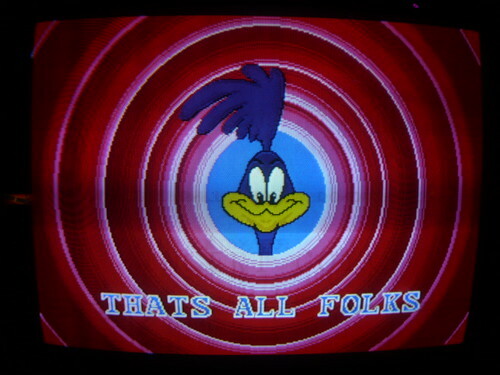 E Coyote, pick up bird seed and avoid the obstacles just like in the cartoon. 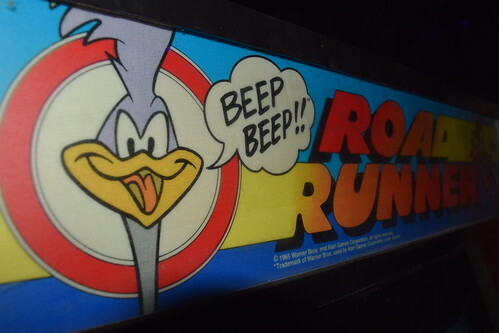 Beep Beep!! 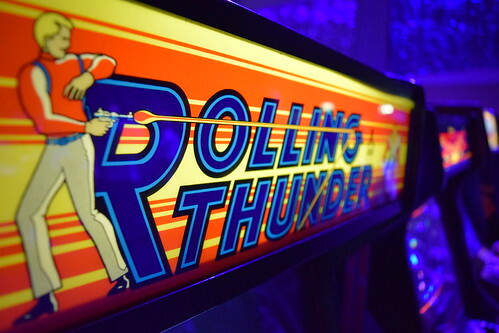 Toobin’ certainly stands out from the crowd, with unique controls, cool artwork and an awesome cascading waterfall marquee. 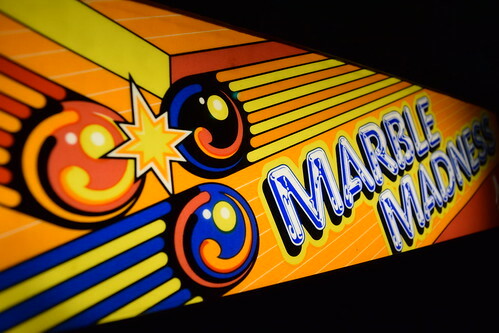 I remember seeing Toobin’ many years ago down Great Yarmouth seafront, but I don’t recall ever playing it. 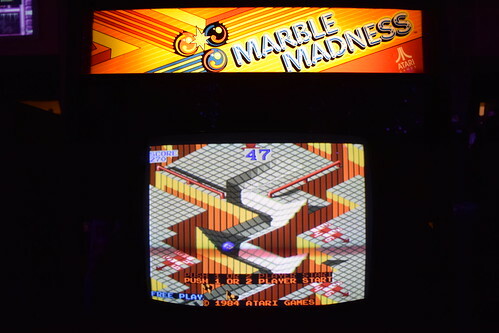 Like many other Atari titles, the game has a very original concept. 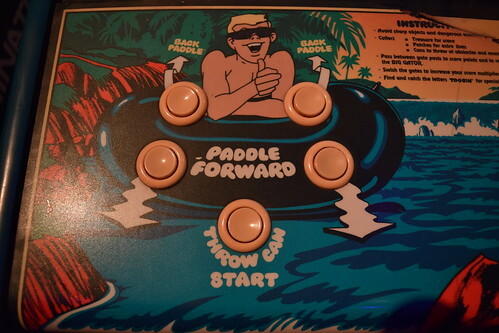 Paddle down the river and avoid the hazards, which include branches, hungry alligators, dinosaurs whipping their tails, and punks throwing cans at you! 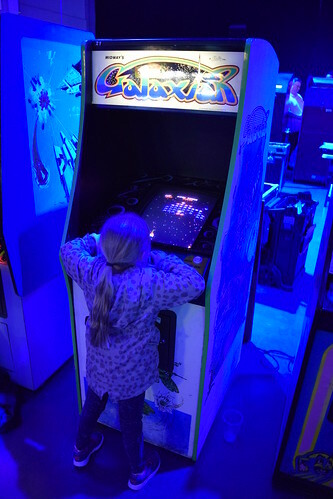 The control system features four buttons at different diagonals, which control the characters legs and arms. Also you can throw cans to slow the other player down. 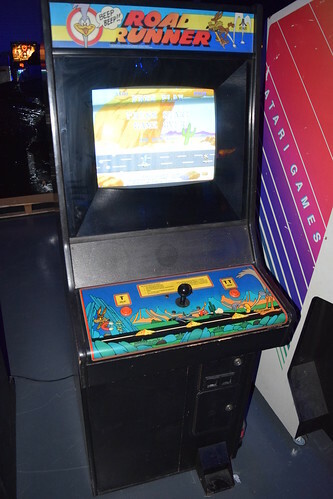 Toobin’ was loads of fun and great to play after all these years. 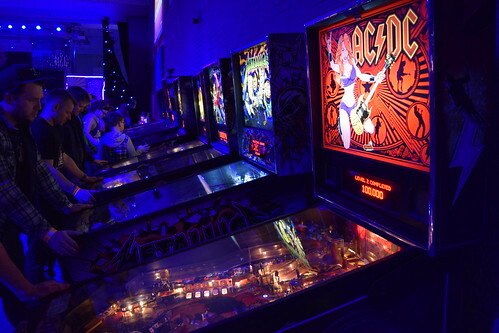 The show had a good selection of pinball tables. 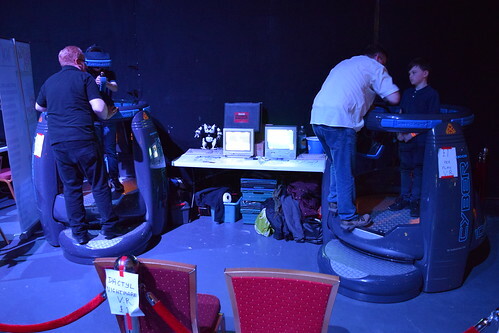 I remember the Virtuality machines at the Mint arcade in Great Yarmouth. Here are some more pics of the show.